Kit contains Base, Catalyst, 6 ea 30ml Mixing cups and 6 Wooden stirring sticks. The President SEM Replication kit is a two component silicone based molding material with excellent low viscosity forming properties for high definition of fine structures. Polymerization time is only 5-7 minutes and molds can be removed from samples directly after polymerization to obtain a negative mold. 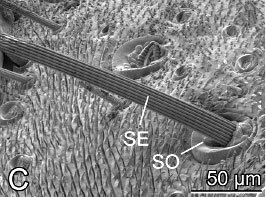 Applications can vary from replication of biological materials to achieve a stable surface or replication of processes like damage, wear or strain on large structures. 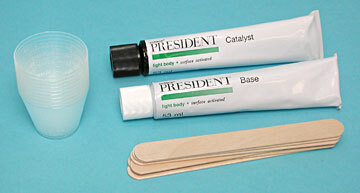 The President replication kit can be used easily in the field and replaces the need to use fixative on suitable biological material. The silicone molds can be filled with Spurr to obtain a positive mold of the original surface and coated with Au or Au/Pd using a sputter coater. We advise use of modified Spurr since it has a low viscosity and provides excellent structure definition. 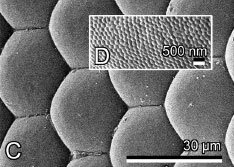 President Replication Kit yields good results with relatively long 10-30µm microstructures with aspect ratios from 1-20, and is capable of resolving small structures down to 20nm.